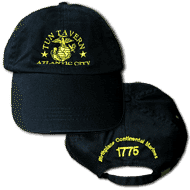 Serving Atlantic City Since 1998. 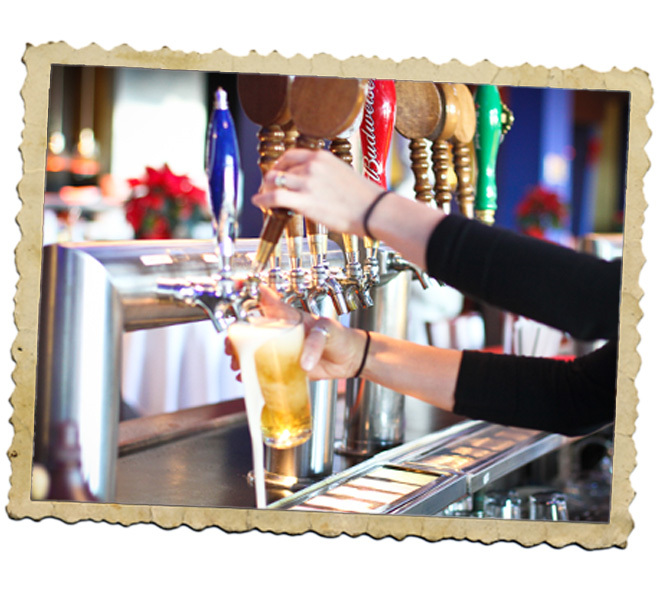 Our occasion, seasonal and specialty beers are only available on a limited basis. 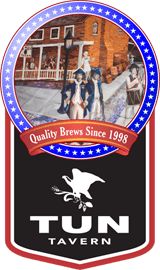 Watch our website and on our social media for updates on the specialty and seasonal beers available. Past Brews... They may return at any time! 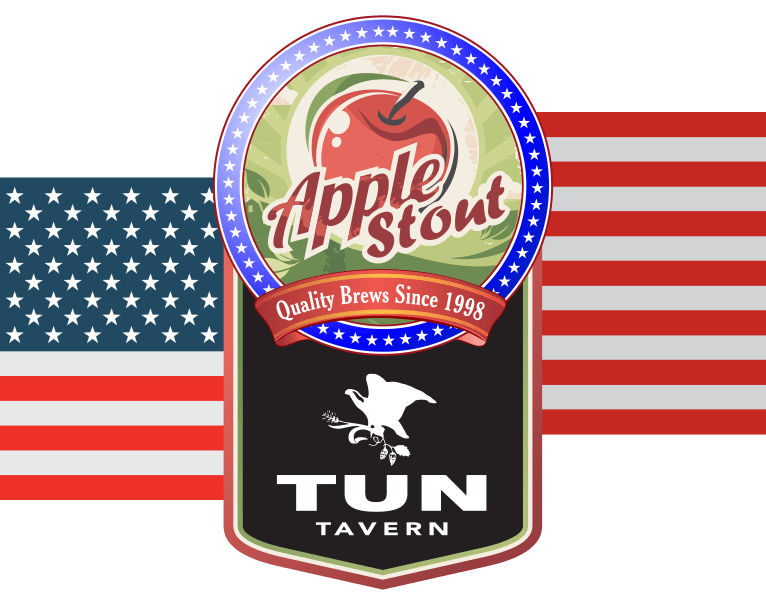 An amazing crafted stout with apple notes and aromatics. The aroma and flavor of a Weissbier with yeast is decidedly fruity and phenolic. The phenolic characteristics are often described as clove- or nutmeg-like and can be smoky or even vanilla-like. Banana-like esters should be present at low to medium-high levels. These beers are made with at least 50 percent malted wheat, and hop rates are quite low. Hop flavor and aroma are absent or present at very low levels. Weissbier is well attenuated and very highly carbonated and a medium to full bodied beer. The color is very pale to pale amber. Because yeast is present, the beer will have yeast flavor and a characteristically fuller mouthfeel and may be appropriately very cloudy. No diacetyl should be perceived. American style barley wine: amber to deep copper-garnet in color; full body and high residual malty sweetness; Complexity of alcohols and fruity-ester characters are high and counterbalanced by assertive bitterness and extraordinary alcohol content. Hop aroma and flavor are at medium to very high levels. A caramel and/or toffee aroma and flavor are part of the character. Aged on rum soaked French oak, generously dry hopped with American Cascade hops. 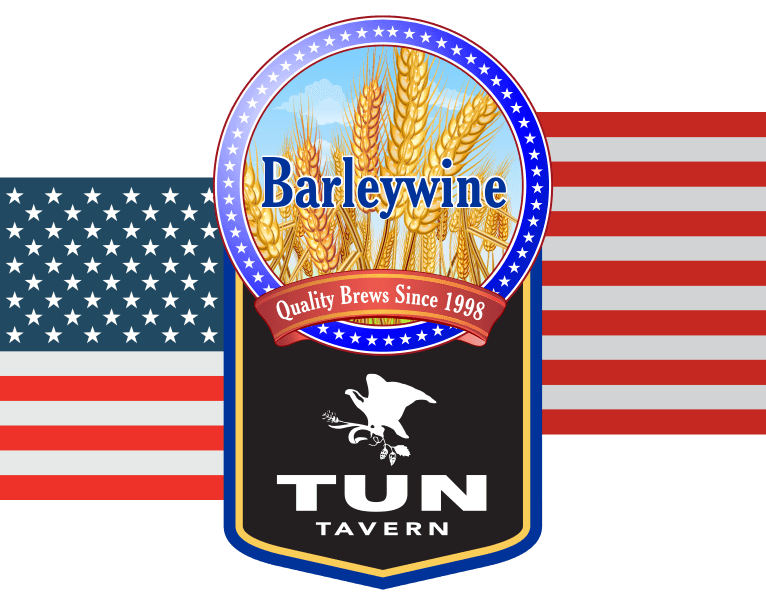 American style barley wines range from amber to deep copper-garnet in color and have a full body and high residual malty sweetness. Complexity of alcohols and fruity-ester characters are often high and counterbalanced by assertive bitterness and extraordinary alcohol content. Hop aroma and flavor are at medium to very high levels. 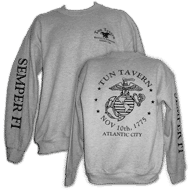 American type hops are often used but not necessary for this style. Very low levels of diacetyl may be acceptable. A caramel and/or toffee aroma and flavor are often part of the character. Characters indicating oxidation, such as vinous (sometimes sherry-like) aromas and/or flavors, are not generally acceptable in American-style Barley Wine Ale, however if a low level of age-induced oxidation character harmonizes and enhances the overall experience this can be regarded favorably. Chill haze is allowable at cold temperatures. OG: 28, FG: 6.7, IBU: 70, ABV% 11. 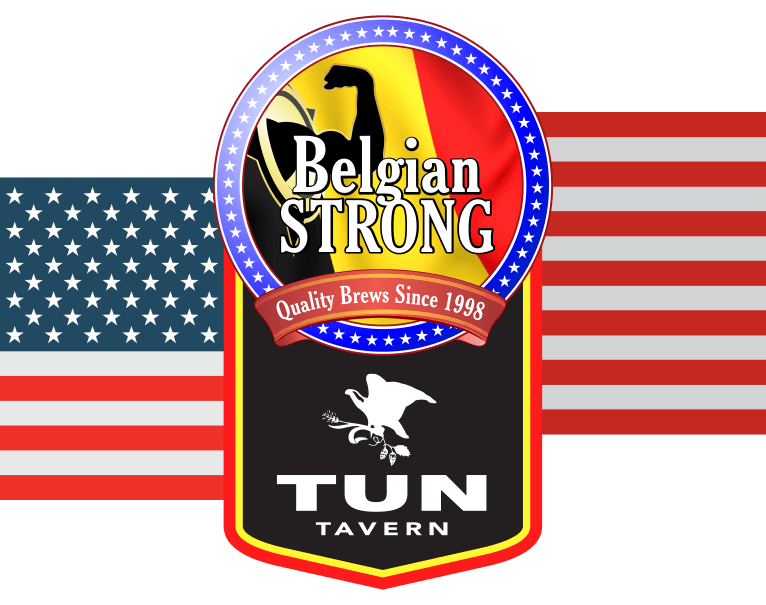 A Dark, Strong, Belgian Style Beer. Belgian dark strong ales are amber to dark brown in color. 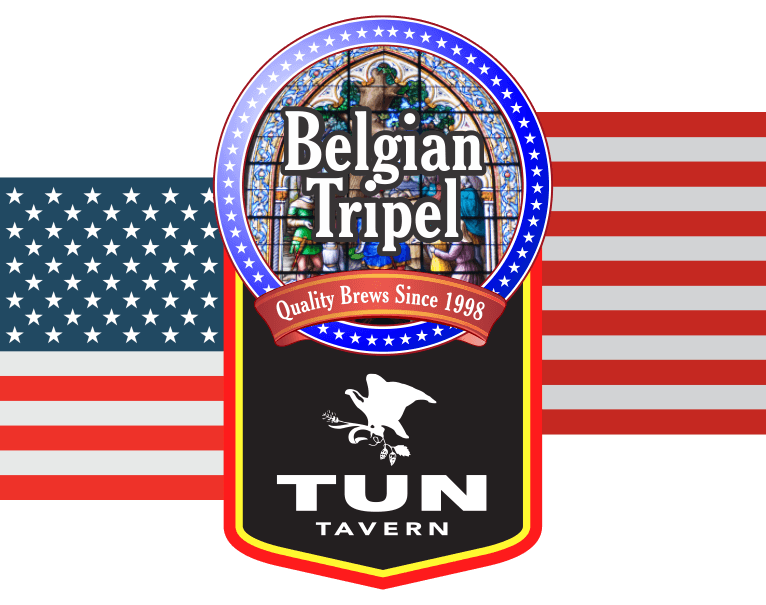 Often, though not always, brewed with dark Belgian "candy" sugar, these beers can be well attenuated, ranging from medium to full-bodied. Tripels are often characterized by a complex, sometimes mild spicy character. Clove-like phenolic flavor and aroma may be evident at extremely low levels. Yeast-generated fruitiness, including banana esters, are also common, but not necessary. These pale/light-colored ales may finish sweet, though any sweet finish should be light. 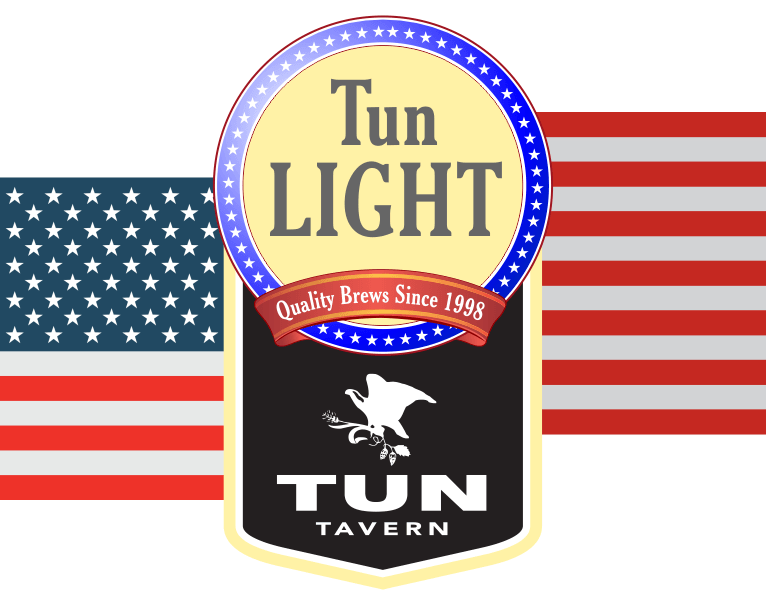 The beer is characteristically medium and clean in body with an equalizing hop/malt balance and a perception of medium to medium high hop bitterness. Traditional Belgian Tripels are often well attenuated. Brewing sugar may be used to lighten the perception of body. Its sweetness will come from very pale malts. There should not be character from any roasted or dark malts. Low hop flavor is acceptable. Alcohol strength and flavor should be perceived as evident. Head retention is dense and mousse-like. Chill haze is acceptable at low serving temperatures. Traditional Tripels are bottle conditioned, may exhibit slight yeast haze but the yeast should not be intentionally roused. Oxidative character if evident in aged Tripels should be mild and pleasant. Very pale in color and the lightest of the German wheat beers. The unique combination of yeast and lactic acid bacteria fermentation yields a beer that is acidic, highly attenuated, and very light bodied. The carbonation of a Berliner Weisse is high, and hop rates are very low. Clarity may be hazy or cloudy from yeast or chill haze. Hop character should not be perceived. Fruity esters will be evident. No diacetyl should be perceived. 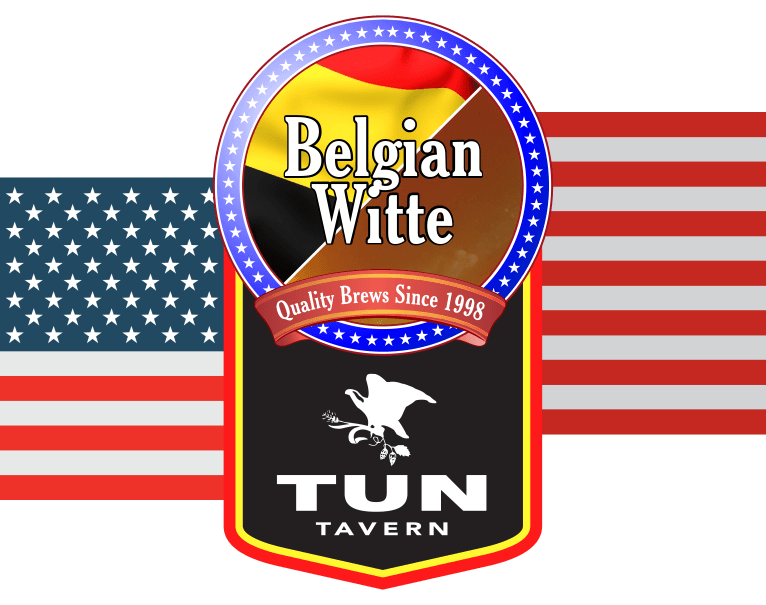 Belgian white ales are very pale in color and are brewed using unmalted wheat and malted barley and are spiced with coriander and orange peel. Coriander and light orange peel aroma should be perceived as such or as an unidentified spiciness. Phenolic spiciness and yeast flavors may be evident at mild levels. These beers are traditionally bottle conditioned and served cloudy. An unfiltered starch and yeast haze should be part of the appearance. The low to medium body should have some degree of creaminess from wheat starch. 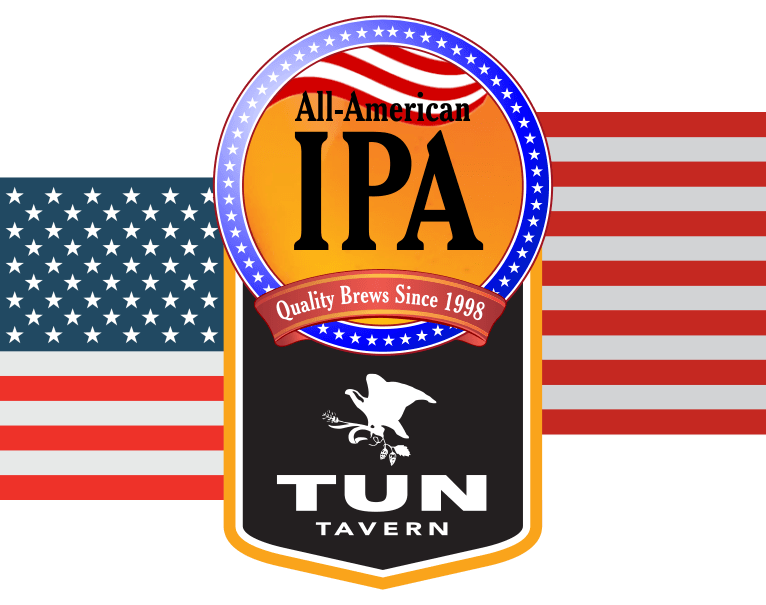 The style is further characterized by the use of noble-type hops to achieve low hop bitterness and little to no apparent hop flavor. This beer has no diacetyl and a low to medium fruity-ester level. Mild acidity is appropriate. Fruited Triple IPA 10.8%: Brewed with pilsner, caramel, and oat malts. Aged on lavish blood orange puree. Hopped fiercely with Simcoe and Columbus. 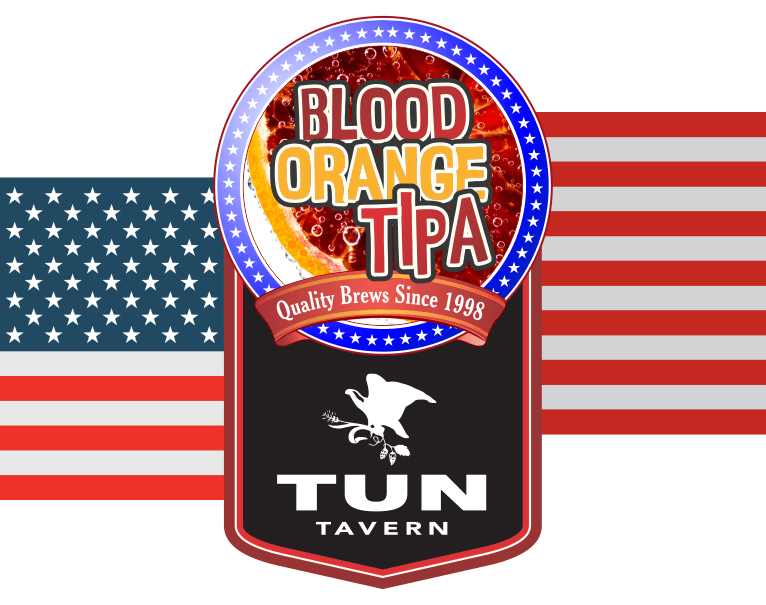 A very intense orange experience that is complimented by balanced bitterness and malty sweetness. 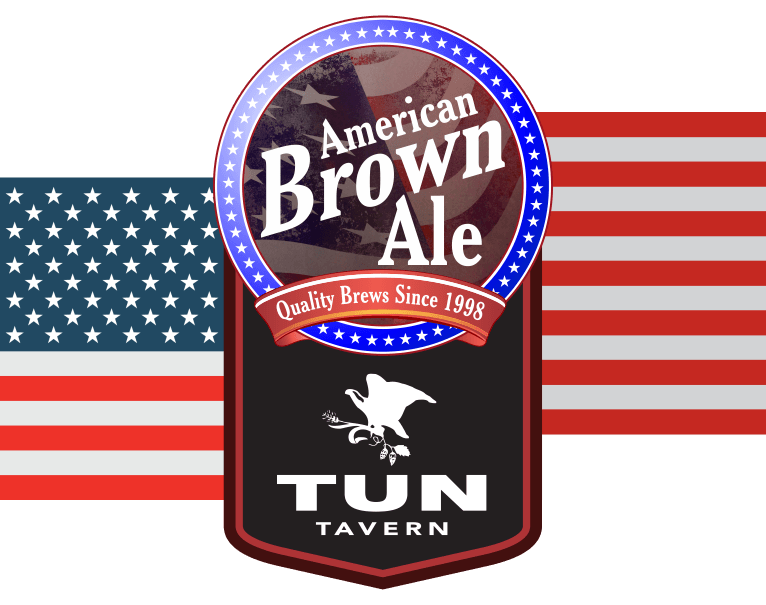 English brown ales range from deep copper to brown in color. They have a medium body and a dry to sweet maltiness with very little hop flavor or aroma. Roast malt tones may sometimes contribute to the flavor and aroma profile. Low to medium-low levels of fruity-ester flavors are appropriate. Diacetyl should be very low, if evident. Chill haze is allowable at cold temperatures. 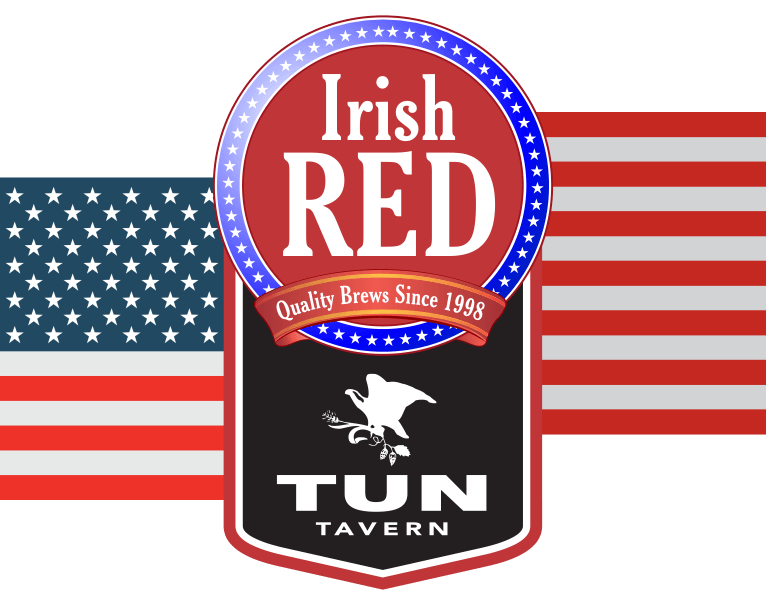 This medium-bodied, red to dark brown colored ale has a malty sweetness and chocolate-like caramel aroma. A light hop flavor and/or aroma is acceptable. Dubbels are also characterized by low-medium to medium bitterness. No diacetyl is acceptable. Yeast generated fruity esters (especially banana) are appropriate at low levels. Head retention is dense and mousse-like. Chill haze is acceptable at low serving temperatures. Often bottle conditioned a slight yeast haze and flavor may be evident. Malty sweetness is dominant but should not be cloying. 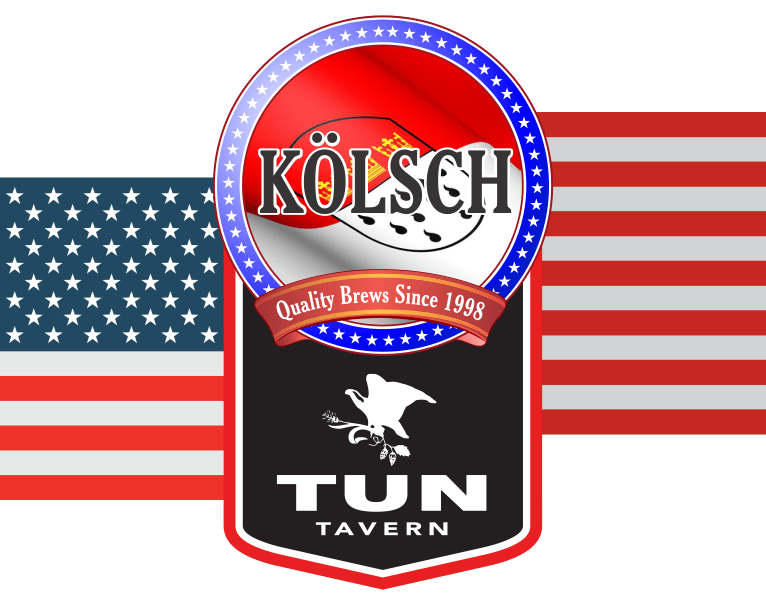 Malt character is more reminiscent of fresh and lightly toasted Munichstyle malt, more so than caramel or toffee malt character. Some elements of caramel and toffee can be evident and contribute to complexity, but the predominant malt character is an expression of toasted barley malt. 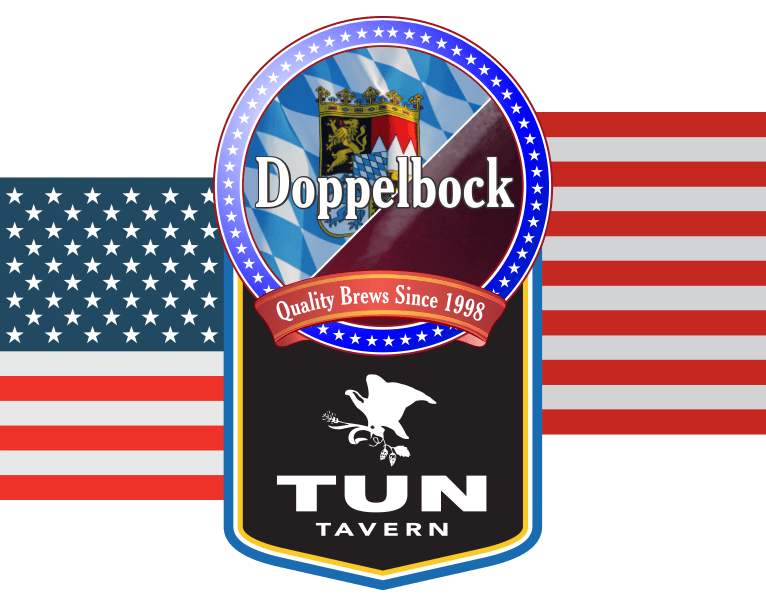 Doppelbocks are full bodied and deep amber to dark brown in color. Astringency from roast malts is absent. Alcoholic strength is high, and hop rates increase with gravity. Hop bitterness and flavor should be low and hop aroma absent. Fruity esters are commonly perceived but at low to moderate levels. Diacetyl should be absent. 4.5% light, bright and easy drinking beer. Brewed with pilsner malt and a touch of wheat. Then dry hopped generously with Saaz hops for a citrus and floral flavor and aroma. An IPA made with rye, oats, and raw honey; hopped to 65 IBU's with Nugget, Saaz, and Chinook; fermented with a Saison yeast. 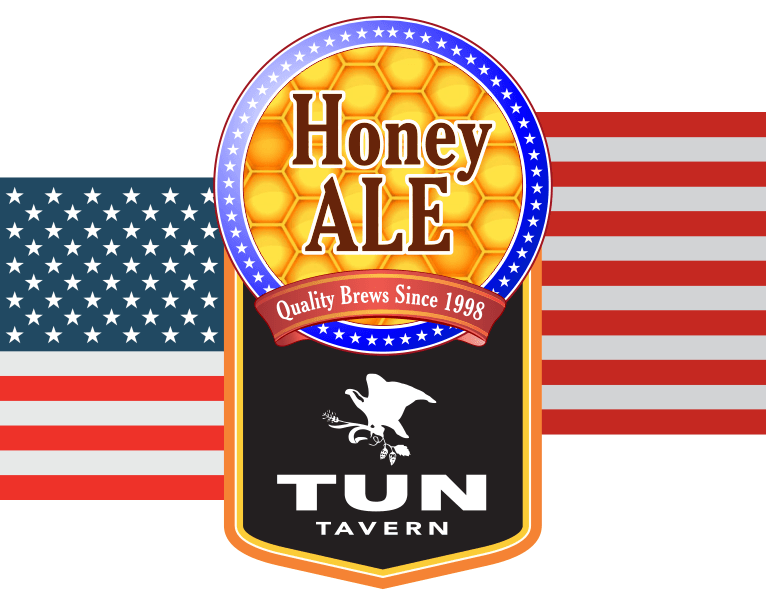 New Jersey Honey Ale 5.7% - An unfiltered golden hued honey ale. Brewed with an assortment of malted wheats and New Jersey Blueberry Honey, hopped lightly with a blend of german hops. Conditioned atop a heaping amount of New Jersey Blueberry Honey. Notes of candied peaches, wildflower, and of course honey. Crisp and refreshing. 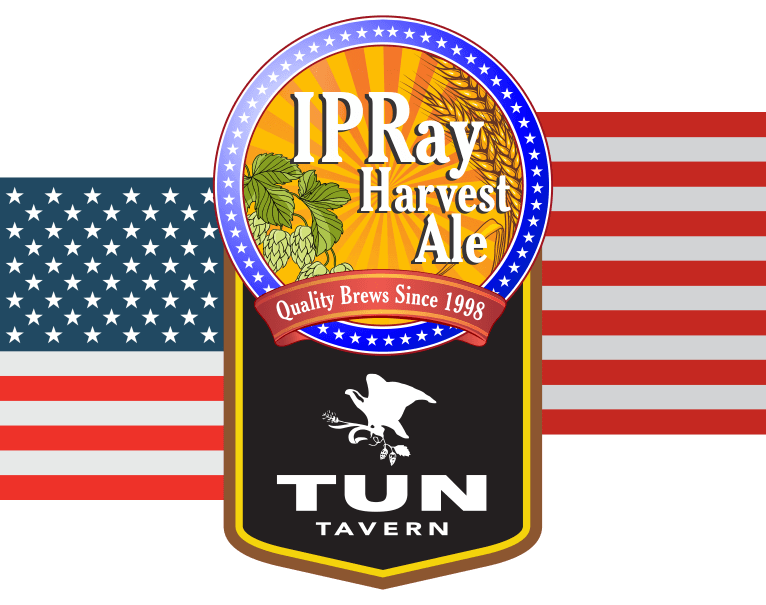 IPA is back - This batch is called IPRay Harvest Ale - dry hopped, made with fresh picked New Jersey Hops. The IPA gets it's name from the grower: Tim Kelly's friend Ray. Crimson Ale 5.4% abv. Pleasing hoppyness and smooth, very drinkable. A touch of dark malts gives it's ruddy redness & a hint of dark chocolate. 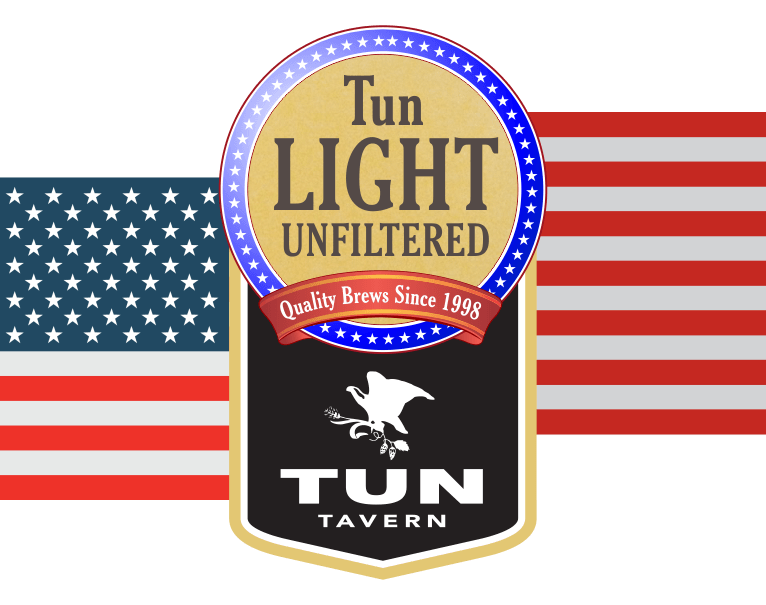 A clean, crisp beer with a soft, rounded palate comprising of a delicate flavor balance between very subtle fruit flavors and aromas, medium bitterness, and a subdued maltiness throughout that leads to a delicate dryness and pleasantly refreshing tang in the finish. 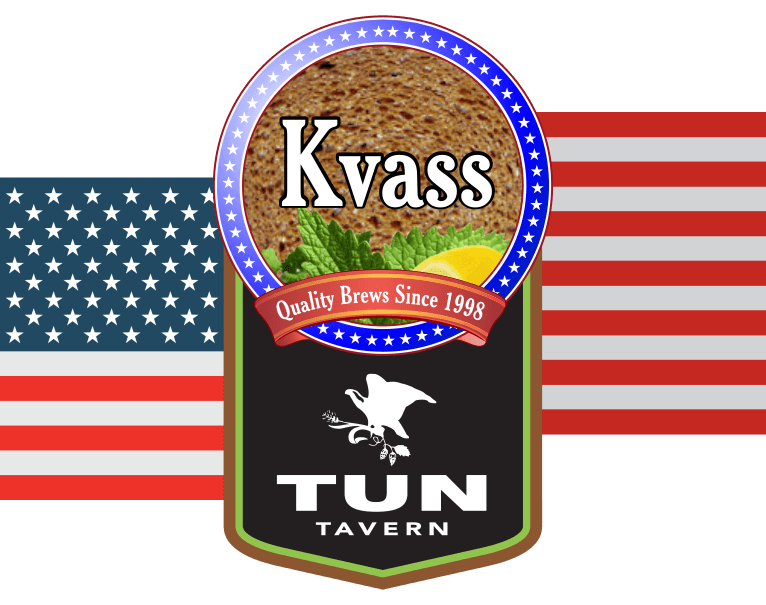 A refreshing summer Eastern European beverage Kvass, made from a traditional rye bread recipe baked in home built Pompii oven and spiced with lemon peel and mint. The German word helle means light colored, and as such, a heller Bock is light straw to deep golden in color. Maibocks are also light-colored bocks. The sweet malty character should come through in the aroma and flavor. A lightly toasted and/or bready malt character is often evident. Roast or heavy toast/caramel malt character should be absent. Body is medium to full. Hop bitterness should be low, while noble-type hop aroma and flavor may be at low to medium levels. Bitterness increases with gravity. Fruity esters may be perceived at low levels. Diacetyl should be absent. Chill haze should not be perceived. India Pale Ale 6.8%: Brewed with pilsner, caramel, and oat malts. Hopped exclusively with Motueka. Notes of freshly zested limes, lemon zest, and mango flesh. 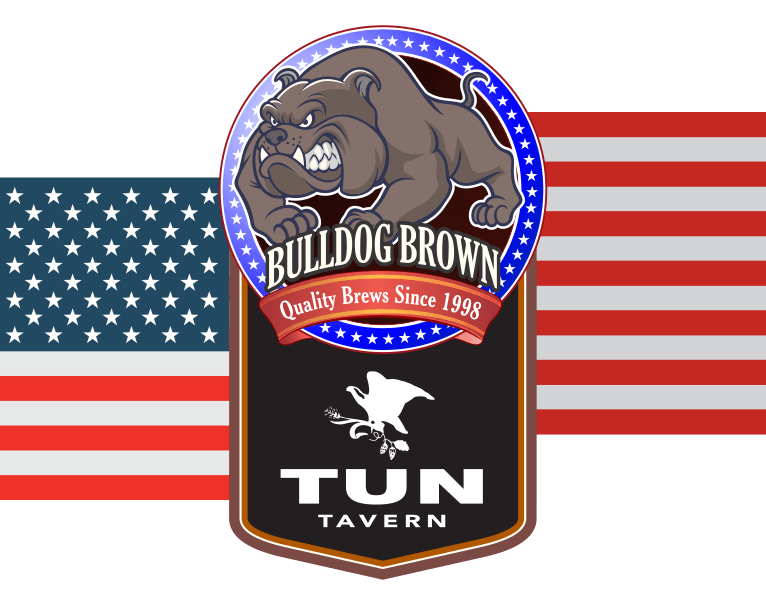 These light brown to dark brown beers have a pronounced malty aroma and flavor that dominates over the clean, crisp, moderate hop bitterness. This beer does not offer an overly sweet impression, but rather a mild balance between malt sweetness, hop bitterness and light to moderate mouthfeel. 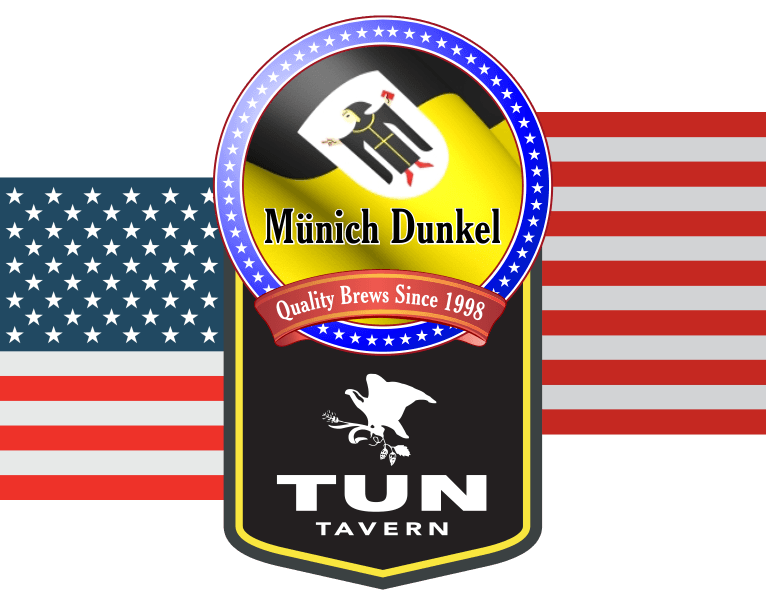 A classic Münchner dunkel should have a chocolate-like, roast malt, bread-like or biscuit-like aroma that comes from the use of Munich dark malt. Chocolate or roast malts can be used, but the percentage used should be minimal. Noble-type hop flavor and aroma should be low but perceptible. Diacetyl should not be perceived. Ale-like fruity esters and chill haze should not be perceived. In 1810, a two week celebration was held honoring the marriage of Bavarian Crown Prince Ludwig's marriage to Princess Therese von Sachsen-Hildburghausen. 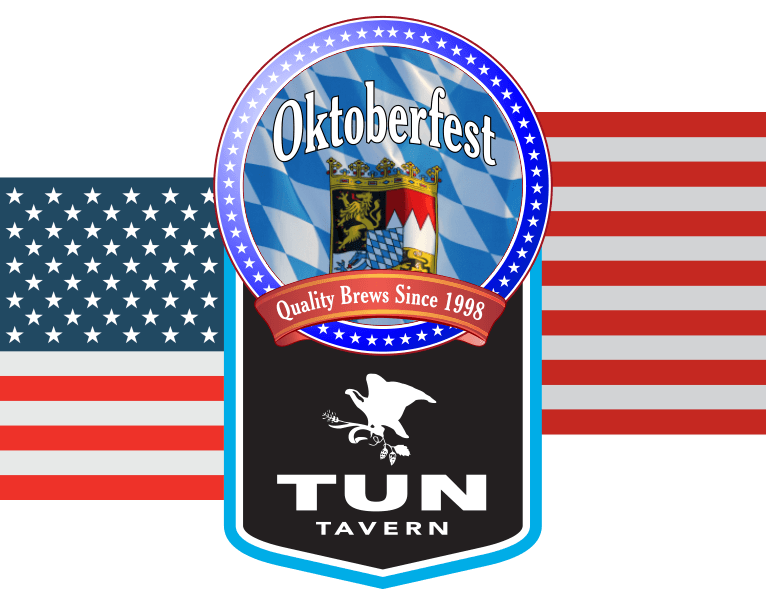 Today we call this festival "Oktoberfest." Smoothness from lagering, a rich malty flavor, medium body, and low clean hop bitterness characterizes this autumnal brew. Pilsner is light straw in color and well hopped with medium hop bitterness and moderate aroma. It is a well-attenuated, medium-light bodied beer, with a malty residual sweetness that can be perceived in aroma and flavor. Low levels of sweet corn-like character are below most beer drinkers' taste thresholds and are usually not detectable except to the trained or sensitive palate. Other fermentation or hop related sulfur compounds may be perceived at low levels. Chukin' Punkin is a light, unfiltered lager crafted with over 250 pounds of pumpkin and is lightly spiced to let the subtle flavor of the pumpkin come through. Pumpkin beers are any beers using pumpkins (Cucurbito pepo) as an adjunct in either mash, kettle, primary or secondary fermentation, providing obvious (ranging from subtle to intense), yet harmonious, qualities. Pumpkin qualities should not be overpowered by hop character. These may or may not be spiced or flavored with other things. The king of pumpkin ales, this beer is rich in flavor, with lots of fresh baked pumpkin added. The brew gets its delicious aroma and flavor from autumn spices, including nutmeg, cinnamon, clove and ginger. 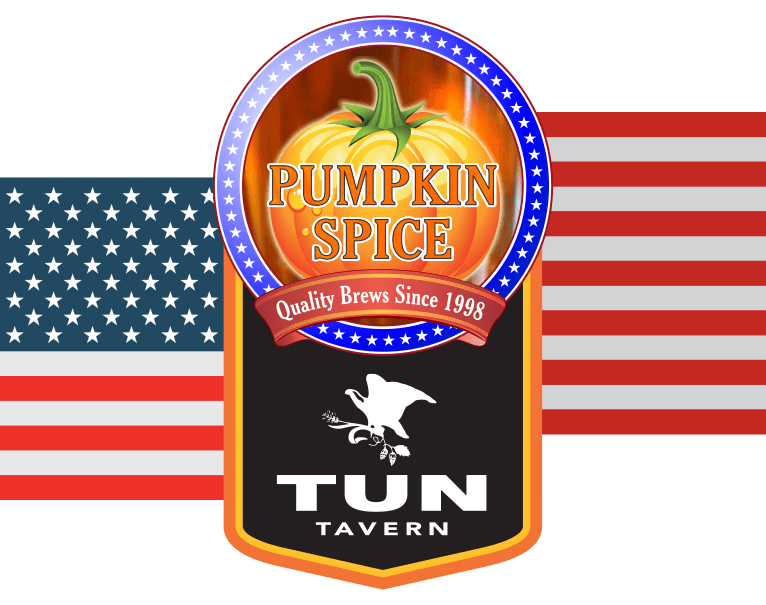 Rich in pumpkin flavor, this brew gets its delicious aroma and accents from autumn spices, including nutmeg, cinnamon, clove and ginger. Rich in flavor, with aromatic notes of pumpkin flavor. 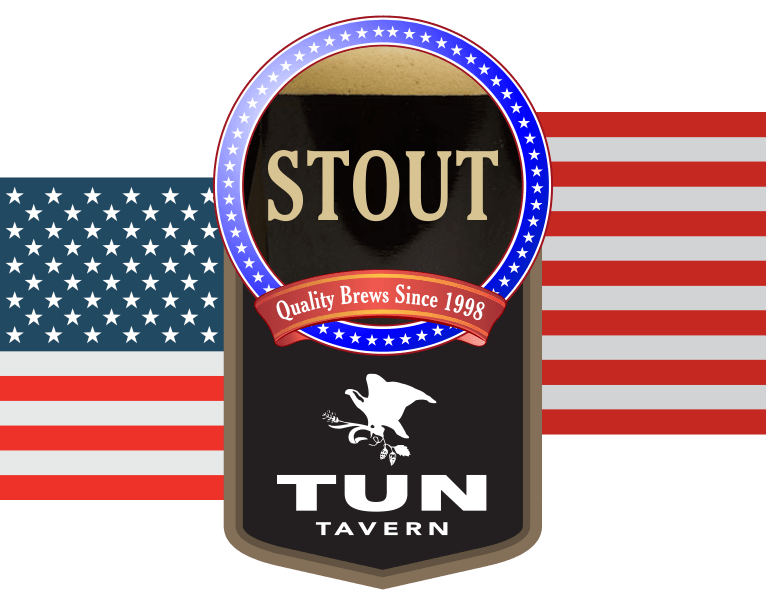 Robust porters are black in color and have a roast malt flavor, often reminiscent of cocoa, but no roast barley flavor. These porters have a sharp bitterness of black malt without a highly burnt/charcoal flavor. Caramel and other malt sweetness should be present and in harmony with other distinguishing porter characters. Robust porters range from medium to full in body and have a malty sweetness. Hop bitterness is medium to high, with hop aroma and flavor ranging from negligible to medium. Diacetyl is acceptable at very low levels. Fruity esters should be evident, balanced with roast malt and hop bitterness. 10.5% abv. Brewed with chocolate, caramel and oat malts. Pours a dark black, with a creamy dark brown head. Roasty, chocolate, and creamy flavor, with noticeable alcohol presence. North Eastern Style Session IPA 4.5% - .This session IPA follows suit with a "North Eastern" style; hazy, fruity and lightly bittered. Notes of papaya and rich citrus fruits emerge from this effervescent and soft IPA. Rich Sumata Coffee is cold extracted and then gently infused into our Leatherneck Stout. Try it with a scoop of ice cream as a float or take a growler home for breakfast. This beer's malt aroma and flavor are low but notable. Its color ranges from a very deep copper to a deep, dark brown. It has a clean, light body with discreet contributions from caramel and roasted malts. 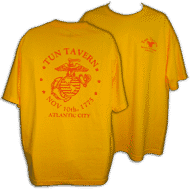 Non-malt adjuncts are often used, and hop rates are low. Hop bitterness is clean and has a short duration of impact. Hop flavor, and aroma are low. Carbonation is high. Fruity esters, diacetyl, and chill haze should not be perceived. This beer style is characterized by a distinct sweet maltiness and a chocolate-like character from roasted malt. Estery and phenolic elements of this Weissbier should be evident but subdued. Color can range from copper-brown to dark brown. Dunkel Weissbier is well attenuated and very highly carbonated, and hop bitterness is low. Hop flavor and aroma are absent. Usually dark barley malts are used in conjunction with dark cara or color malts, and the percentage of wheat malt is at least 50 percent. If this is served with yeast, the beer may be appropriately very cloudy. No diacetyl should be perceived. A classic German Pilsener is very light straw or golden in color and well hopped. Perception of hop bitterness is medium to high. 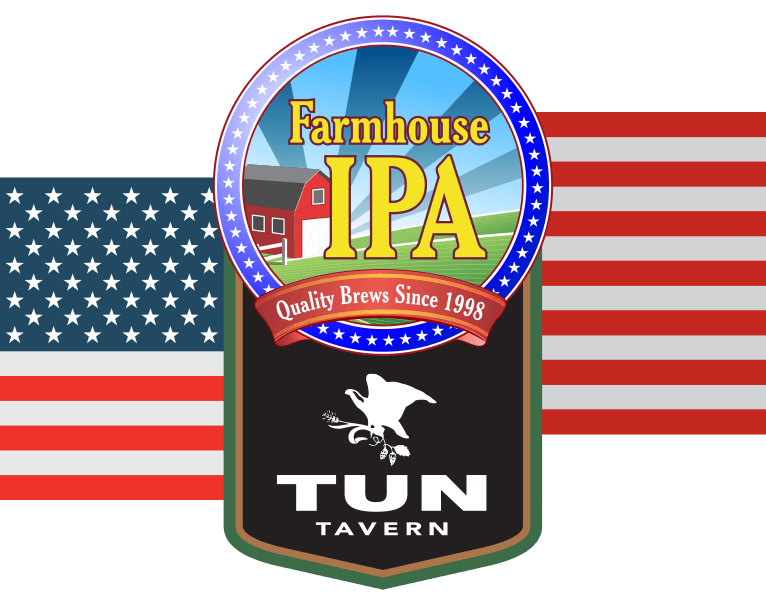 Noble-type hop aroma and flavor are moderate and quite obvious. 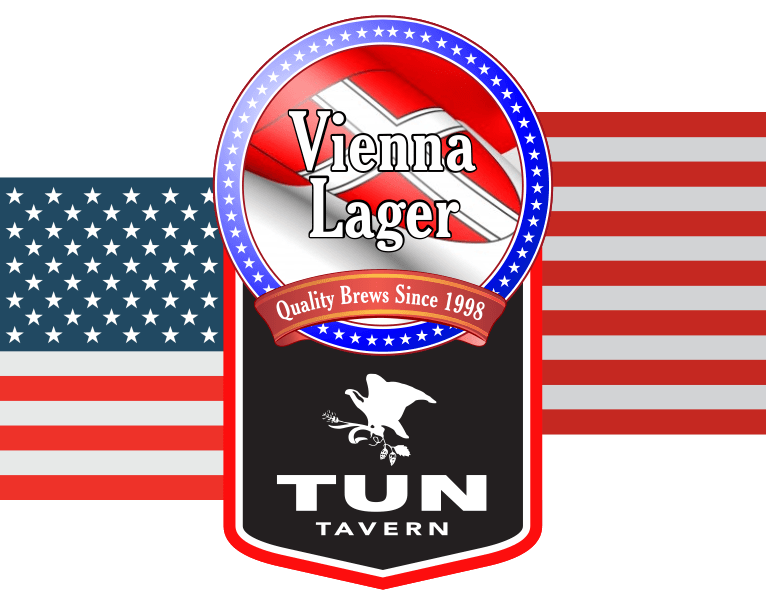 It is a well-attenuated, medium-light bodied beer, but a malty residual sweetness can be perceived in aroma and flavor. Very low levels of sweet corn-like dimethylsulfide (DMS) character are below most beer drinkers' taste thresholds and are usually not detectable except to the trained or sensitive palate. Other fermentation or hop related sulfur compounds, when perceived at low levels, may be characteristic of this style. Fruity esters and diacetyl should not be perceived. There should be no chill haze. Its head should be dense and rich. 3.9% abv. Golden or Blonde ales are straw to golden blonde in color. 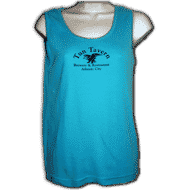 They have a crisp, dry palate, light to medium body, and light malt sweetness. 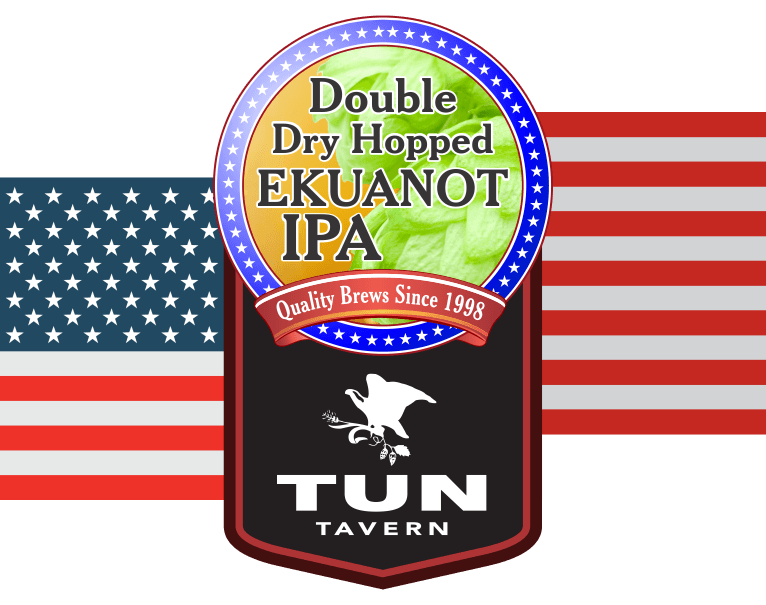 Low to medium hop aroma may be present but does not dominate. Bitterness is low to medium. Fruity esters may be perceived but do not predominate. Diacetyl should not be perceived. Generally filtered to be crystal clear, but this unfiltered beer is slightly hazy for a bit more flavor from both hops and yeast. 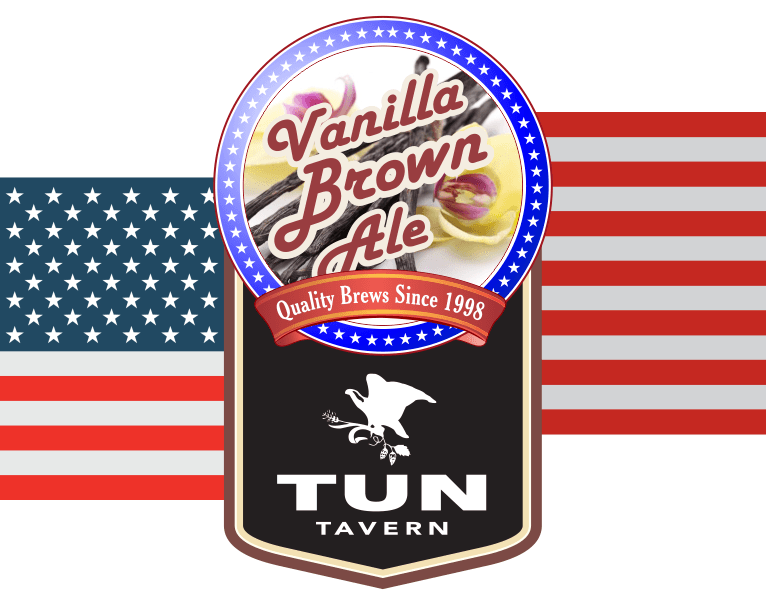 Vanilla Brown Ale 5.1% - A modern take on an English classic. This brown ale is brewed with a mixture of Marris Otter, roasted wheat, and dark German caramel malts. Hopped lightly with a blend of german hops. Brewed with lactose sugars to add sweetness, and conditioned aggressively on Vanilla. A nice balance of roast complimented by its devilishly decadent finish. Dark, strong Scotch Ale with a hint of peat smoke. 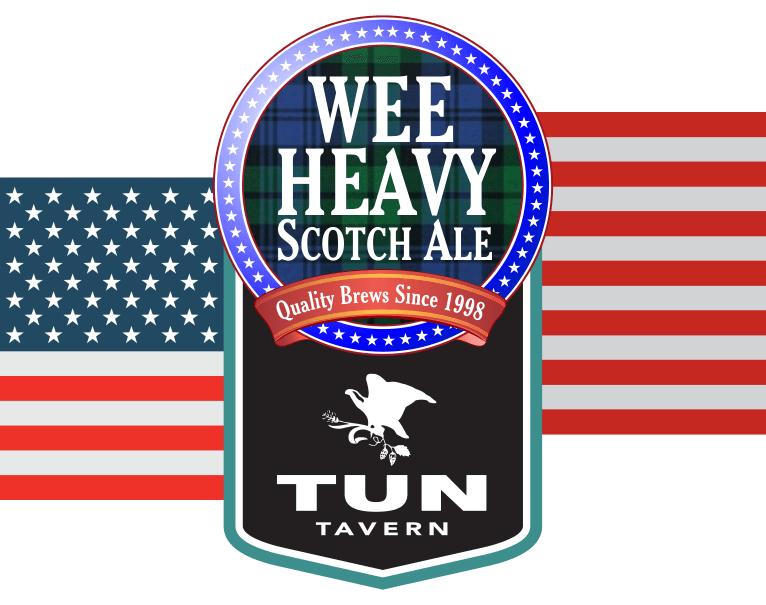 Scotch ales are overwhelmingly malty and full-bodied. Perception of hop bitterness is very low. Hop flavor and aroma are very low or nonexistent. Color ranges from deep copper to brown. The clean alcohol flavor balances the rich and dominant sweet maltiness in flavor and aroma. A caramel character is often a part of the profile. Dark roasted malt flavors and aroma may be evident at low levels. If present, fruity esters are generally at low aromatic and flavor levels. Low diacetyl levels are acceptable. Chill haze is allowable at cold temperatures. Though there is little evidence suggesting that traditionally made strong Scotch ales exhibited peat smoke character, the current marketplace offers many Scotch Ales with peat or smoke character present at low to medium levels. Thus a peaty/smoky character may be evident at low levels. A crisp, dry palate, with light to medium body, and light malt sweetness. Low to medium hop aroma with low to medium bitterness. Just the thing to spice up a cold winter day. 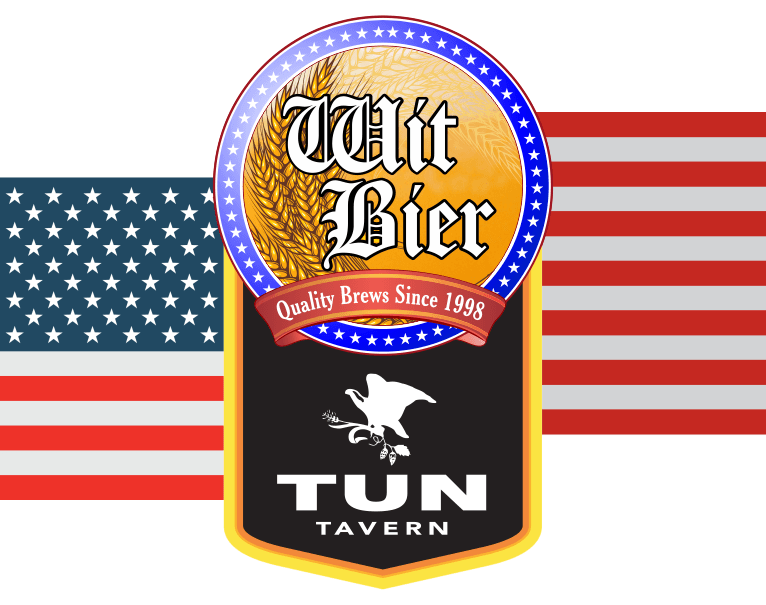 Belgian Style Wit Bier 4.85%: Brewed with pilsner, munich, wheat and flaked wheat. Hopped lightly with German hops and brewed with sweet orange zest. Floral notes, backed with a sweet banana and clove like finish. 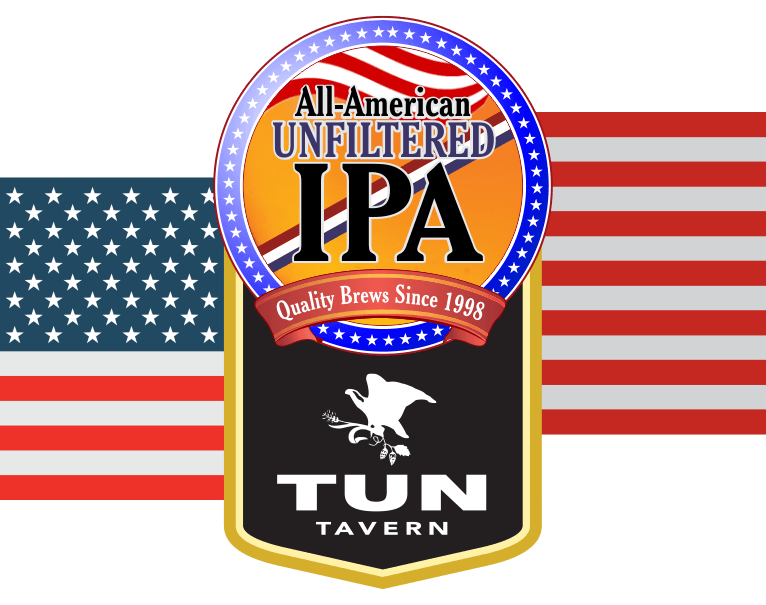 6.8% ABV, This unique IPA begins with grapefruit citrus notes with a full resinous mouth feel. Coppery with a heavy hazy appearance, it starts off smooth with a clean bitter finish. Nice caramel malts combined with familiar hops such as Cascade, Amarillo, Simcoe and Centennial hops makes this particular ale enjoyable with any meal. Golden Ale 4.7%. ABV, Golden or Blonde ales are straw to golden blonde in color. They have a crisp, dry palate, light to medium body, and light malt sweetness. Low to medium hop aroma may be present but does not dominate. Bitterness is low to medium. Fruity esters may be perceived but do not predominate. Diacetyl should not be perceived. 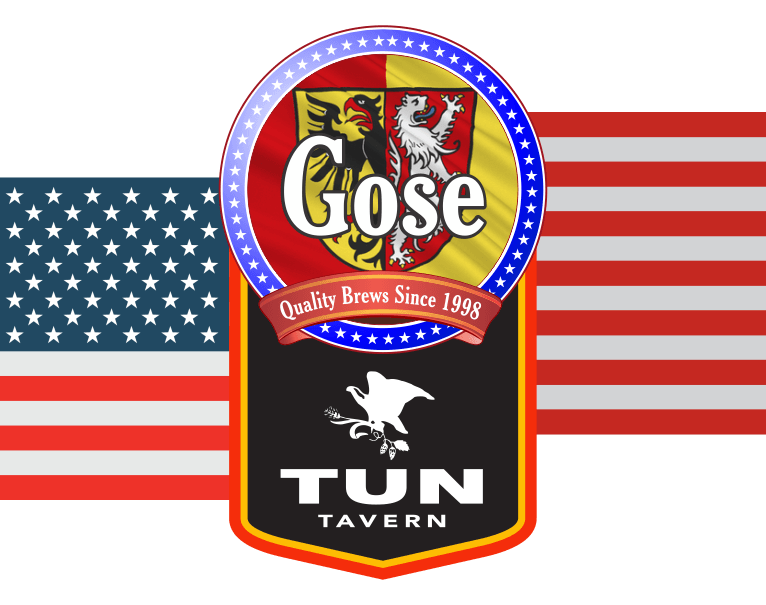 Gose is a top-fermented beer that originated in Goslar, Germany. 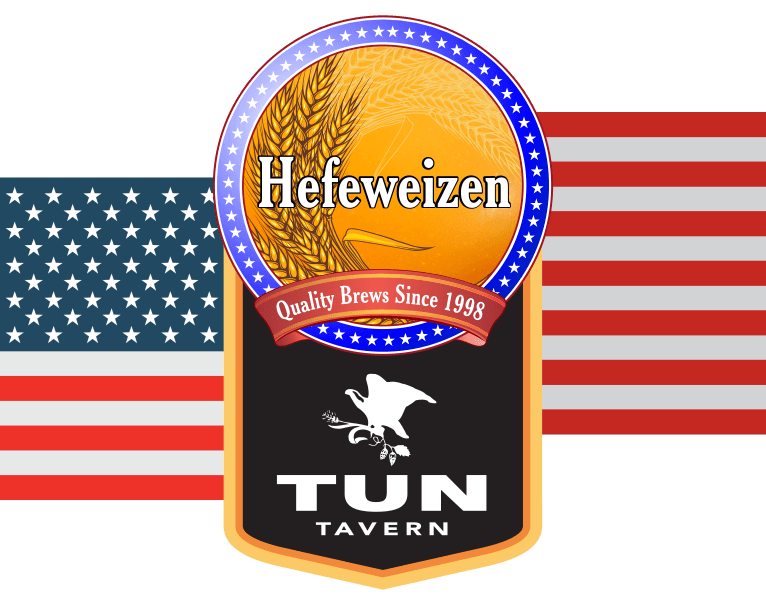 It is brewed with at least 50% of the grain bill being malted wheat. Dominant flavours in Gose include a lemon tartness, a herbal characteristic, and a strong saltiness (the result of either local water sources or added salt). Gose beers typically do not have prominent hop bitterness, flavours, or aroma. Gose belongs to the same family of sour wheat beers which were once brewed across Northern Germany and the Low Countries. Other beers of this family are Belgian Witbier, Berliner Weisse, Broyhan, Grätzer. 4.9% ABV. This dark, but drinkable stout is a great winter beer, brewed heavily with chocolate malt, dark caramel malt, and roasted barley. Very malt forward with low hop flavor and bitterness, with roasted flavors of coffee, chocolate and caramel. 4.5% ABV. This is a sour beer! Brewed with pilsner malt and a touch of wheat. Then dry hopped generously with Saaz hops for a citrus and floral flavor and aroma. 6.4% ABV. This beer is brewed with a simple grain bill of pilsner and flaked oats to let the hop flavors really come through. Hopped heavily in the whirlpool with Simcoe and Amarillo hops, dry hopped generously during active fermentation with more Simcoe then again heavily with Ekuanot hops. Hopped at a rate of 3 pounds per barrel. It's less bitter than a traditional IPA with flavors of citrus and tropical fruits it pours bright yellow with a nice haze. 4.5% ABV. Brewed with a variety of base malts and dark specialty malts for a deep dark brown color. This beer is well balanced between the nutty, sweet, and toasty malts, and the hop bitterness and floral, earthy flavor. 8.1%ABV (10 oz pour). 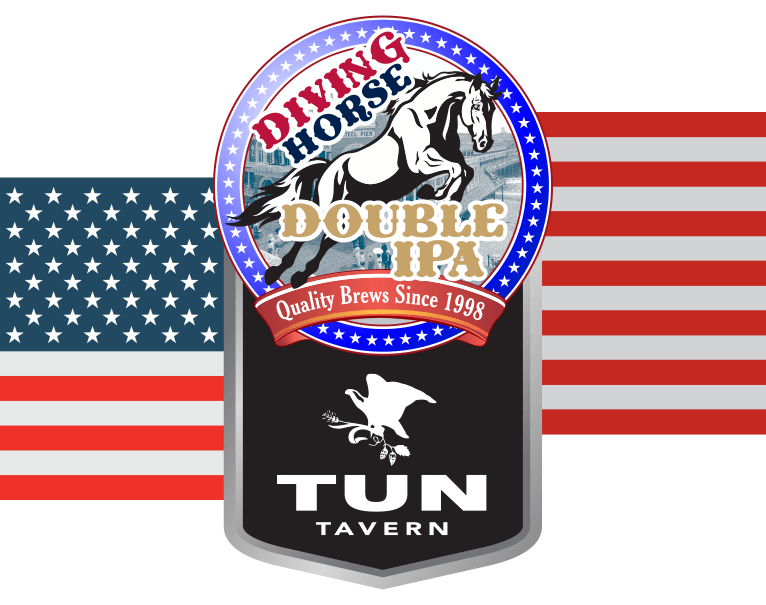 This New England style Double IPA was brewed with a heavy amount of Golden Promise malt, for a slight sweetness but clean malt flavor, along with some flaked oats and wheat for a big body. It pours a bright but hazy yellow. But most importantly we hopped this beer at rate of just over 3 pounds per barrel, with Simcoe and Columbus in the whirlpool, then a heavy dose of both Ella and Mosaic for the dry hop. These hops give this beer that light bitterness, and a big tropical fruit, berry, and citrus flavor.